The Cardinia Sofa Bed is available in a large selection of fabrics and comes with or without contrast piping. Price varies due to fabric, leather or vinyl selections. JARO frames are solid and made to last. We also use the best foams available. 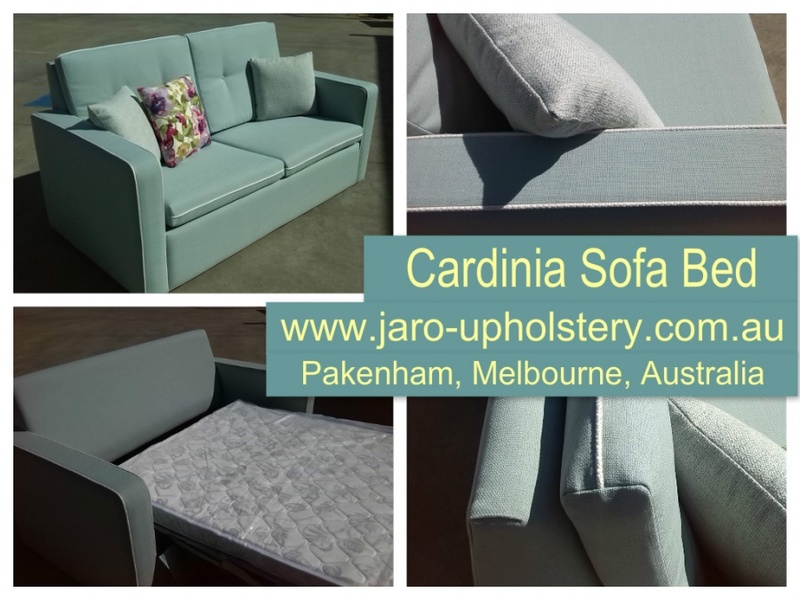 if you require any Information or to make a time to view the fabric choices contact JARO Upholstery either via enquiries@jaroupholstery.com.au or Jasons mobile 0402 188238.